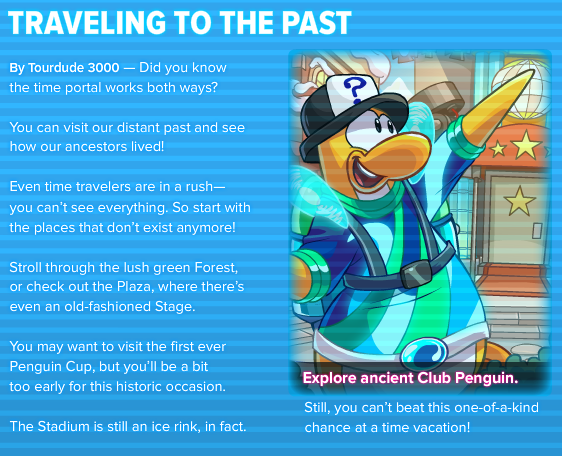 This is the latest Club Penguin newspaper issue released on May 29! There is only one last issue for the Future Party after this issue. 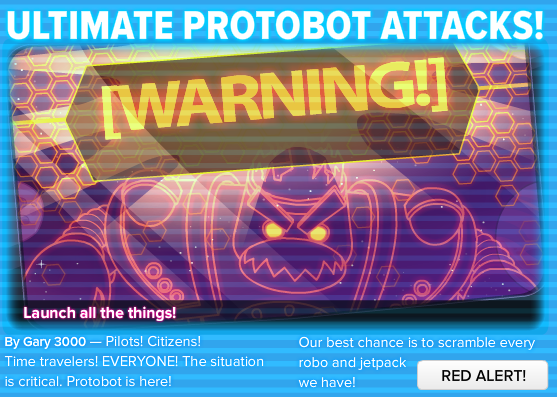 First, Gary warns us about Protobot and tells us the reason why he got so close to the island. Next, TourDude3000 tells us that since we are able to go into the future we can also go into the past. He really recommends to check out the Penguin Cup room! Finally, we're down to the upcoming events section. 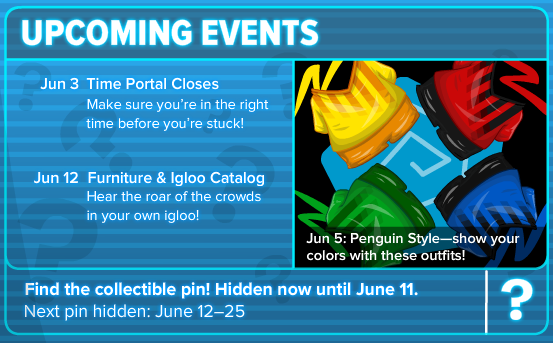 The time portal closes on June 3rd and we get another awesome style catalog on June 12th!